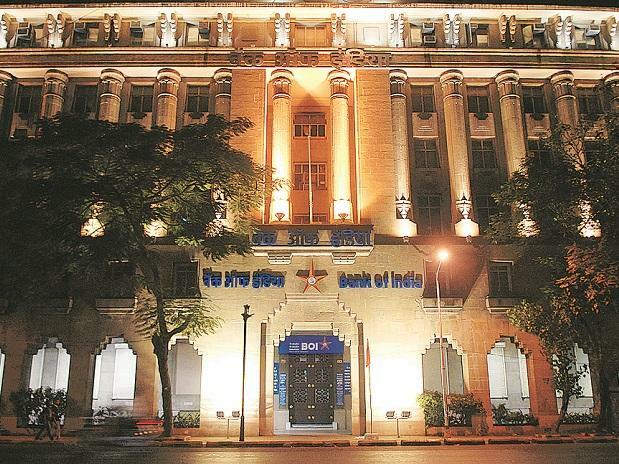 Bank of India has reported over eight per cent rise in net profit to Rs 951.1 million (Rs 95.11 crore) in the first quarter ended June 30, 2018-19. The bank had registered a net profit of Rs 877.1 million (Rs 87.71 crore) in the April-June period of 2017-18. The lender returned to black after registering a massive loss of Rs 39.69 billion (Rs 3,969.27 crore) in the preceding and the concluding quarter of 2017-18. Bank of India said in a regulatory filing that overall, there was a net loss of Rs 60.43 billion (Rs 6,043.71 crore) last financial year due to higher bad loans which required increased provisioning. Its total income for the first quarter of 2018-19 fell however to Rs 108.43 billion (Rs 10,842.96 crore), down 2.4 per cent, from Rs 111 billion (Rs 11,106.61 crore) in the year-ago period mainly due to a decline in income from 'other sources' and lower interest from balances with RBI and other interbank funds. On asset front, the bank witnessed further deterioration with gross non-performing assets (NPAs) rising to 16.66 per cent of the gross advances as on June 30, 2018, against 13.05 per cent in the same period of 2017. It also widened against 16.58 per cent gross NPA as on March 31, 2018. Net NPAs or bad loans too rose to 8.45 per cent by end June 2018 from 6.70 per cent end-June 2018 and 8.26 per cent by March 31, 2018. In absolute value, the gross NPAs rose to Rs 606 billion (Rs 60,604.46 crore) at the end of the first quarter of 2018-19 as against Rs 510 billion (Rs 51,019.11 crore) by the same period a year ago. Net NPAs for the corresponding periods was Rs 279 billion (Rs 27,932.25 crore) against Rs 244 billion (Rs 24,406.72 crore). A rise in bad loans led to a higher amount to be parked for provisioning for bad loans at Rs 22.6 billion (Rs 2,259.66 crore) during April-June of this fiscal from Rs 21.56 billion (Rs 2,156.21 crore) in the same period year ago. Overall, the contingencies and provisions during the quarter increased to Rs 25.64 billion (Rs 2,564.19 crore) from Rs 22.45 billion (Rs 2,245.28 crore) in the year-ago first quarter. The lender said it changed the method of appropriation of recovery in NPAs during the quarter which resulted in the increase in gross bad loans by Rs 2.11 billion (Rs 211.30 crore). Besides, there was an increase in interest income by Rs 211.30 crore and increase in provision for NPA by around Rs 1.62 billion (Rs 162.07 crore). The Provision Coverage Ratio of the bank as on June 30, 2018, is 66.67 per cent. Bank of India stock was trading 6.29 per cent down at Rs 96.90 on BSE.